On Friday, I announced that I have a new 2 book contract with Escape Publishing for a new romantic suspense series, Climbing Fear (working title) and Blazing Fear (working title). What makes this sale even more special is that Climbing Fear is the book I was working on when I was in Canberra earlier this year, helping to look after my friend, Helen Petrou, through the last months of her fight with cancer. I worked on it when she was resting, but something about it just wasn’t right. Helen noticed – of course she did. Being omniciently aware of other people was her thing – and she asked what the problem was, even though she was feeling horrible, and insisted on trying to help me – as she’d done many times before – through the sticky part of the book that was making it impossible for me to figure out the best way ahead. We workshopped the pants off that thing and put them back on the right way, all colourful and new, so it all made sense and worked the way it should, as good workshopping should. 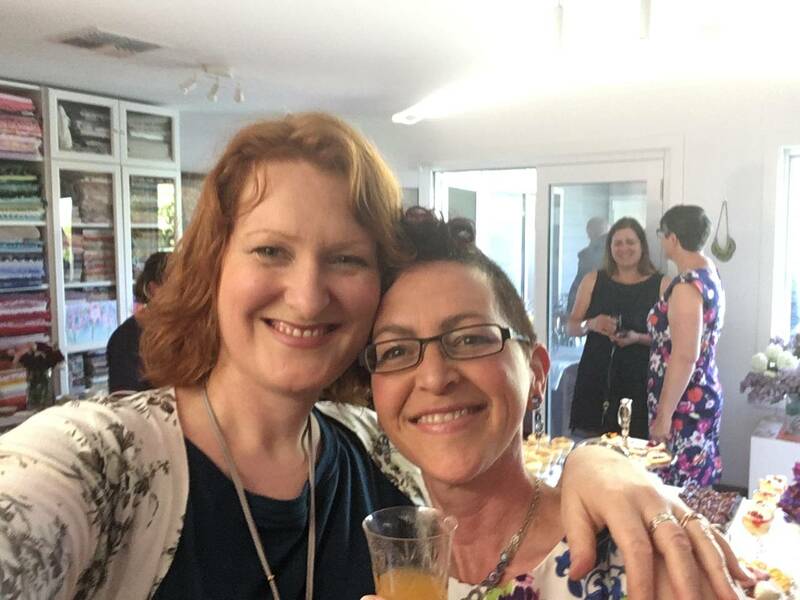 She made me laugh and we laughed together and I went off and fixed the damn thing – and now it’s going to be published! Job well done, Helen. Job well done. I want to say in this space so that it goes out into the universe, just in case my saying it then didn’t register and so you know it now, that I’m proud of you too, Helen, of the way you lived your life, of the way you faced those last few horribly hard and painful months with such courage and love and laughter, of the way you understood the depressing reality of your situation but always thought of others and never gave yourself over to it, always staying true to who you wanted to be as a person – mother, daughter, sister, friend, giver of laughter and love and encourager of dreams. I might write about the heroes/heroine’s journey, but you lived it. 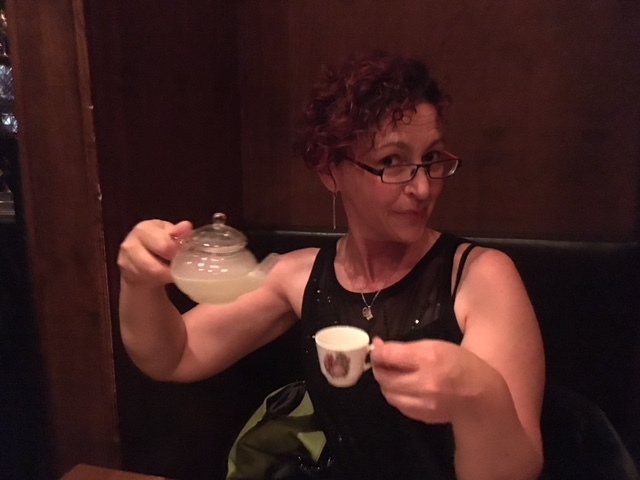 I’m only sorry you didn’t get your HEA as you deserved and wish with all my heart that life had been kinder and that karma was really a thing – because surely if it was, your karma would have given you a long life filled with everything wonderful. I’m hoping though, that even though you are gone, that aside from living on through your girls and the people who loved you, you will live on through me and my work that you were such a big part of making happen, and that when people read my books, they will feel a little bit of you and how special you will always be to me and everyone who knew you. Know that a part of my heart will always be yours. 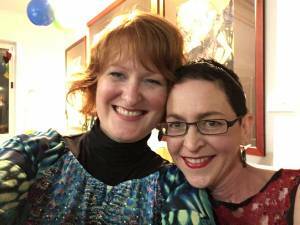 Postscript to this post: More exciting news!!! I’m so excited and happy that this happened, for you and for your family and your beautiful girls, and that I’m able to share it with the world here. 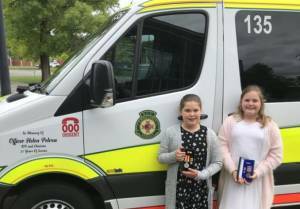 Just after I wrote the above post and scheduled it, the ACT Ambulance service awarded you posthumous medals for your long and excellent service (awarded to your 2 gorgeous daughters), but not only that, they named an ambulance after you. Now there’s a thing out there as loud and bright as you, that rushes around and helps others, saves lives and makes people feel better just by arriving on their doorstep. How could it possibly be named after anyone else – right? 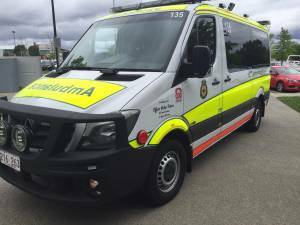 So, if you’re in Canberra and you see ambulance 135 rushing past, give a toot for Helen, will you? You know the story of how when a bell rings, an angel gets their wings? Well in this case, when a car toots Helen’s ambulance, she won’t get wings (she already has them!) but it spreads a little extra love, laughter, help and happiness into the world – I know she’d love the thought of that. 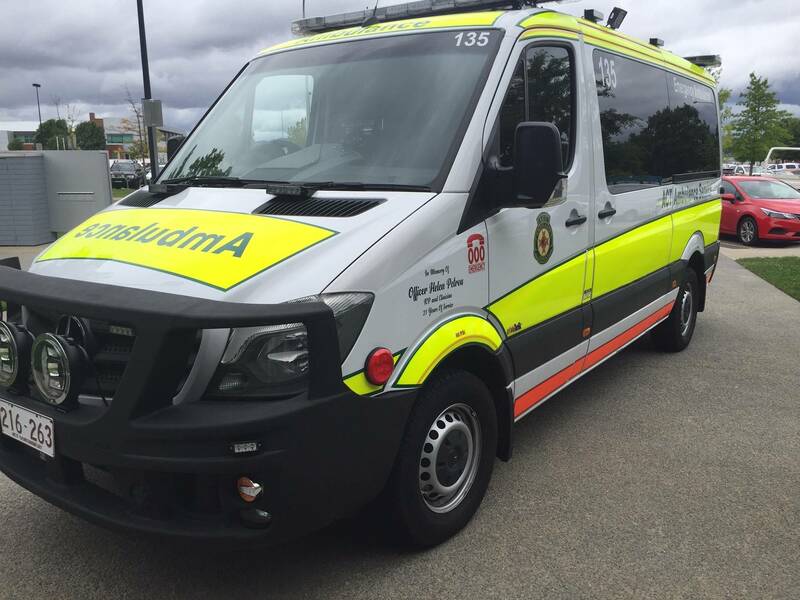 So an ambulance for you, you spunky chick. 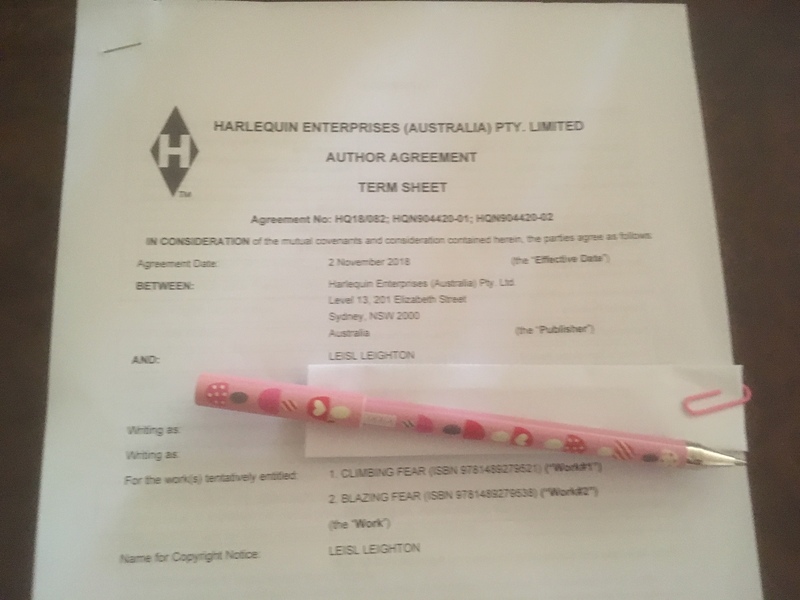 It kind of outshines my little contract. But I can say that this series I worked on with you is most definitely for you, beautiful girl – I would never have finished it or got it in on time if not for you and the way you knew me so well, and when people read it and enjoy it, I am hoping that will send a little happiness out into the world too, just for you. Tomato hoppy frog, my dearest friend, tomato hoppy frog. 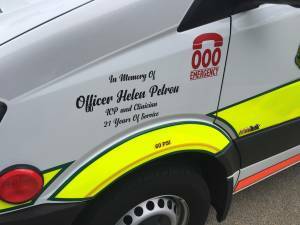 And remember everyone – toot for Helen Petrou, Ambulance 135!